Commentary: Lesotho Leads Southern Africa in Democracy | Jordan Ink. It has not always been this way in Lesotho. As recently as 1998, post-election violence saw rioting and fires in Maseru. South Africa, which surrounds this mountain enclave, sent in 700 troops. Overall, some 58 locals and eight South African soldiers died. As the May 26 elections approached, Basotho and foreigners alike grew anxious about the potential for renewed violence — especially after pro-government and opposition forces clashed on April 19 and were beaten back by baton-wielding police. Ten people were injured. Days later, though, I was heartened by a 62-year-old Basotho housekeeper named Anna, who unwittingly made the case for freedom of expression and a multiparty system. Although Mosisili encouraged supporters to “retaliate” if attacked, there were other signs of hope. Three days before the vote, state-controlled Lesotho Television — the country’s lone channel — broadcast its first live, televised election debate. In a Maseru café, as mindless music videos throbbed from a television screwed to the wall, a quartet of middle-aged Basotho men asked the waitress to flip to the debate — to watch democracy in action. 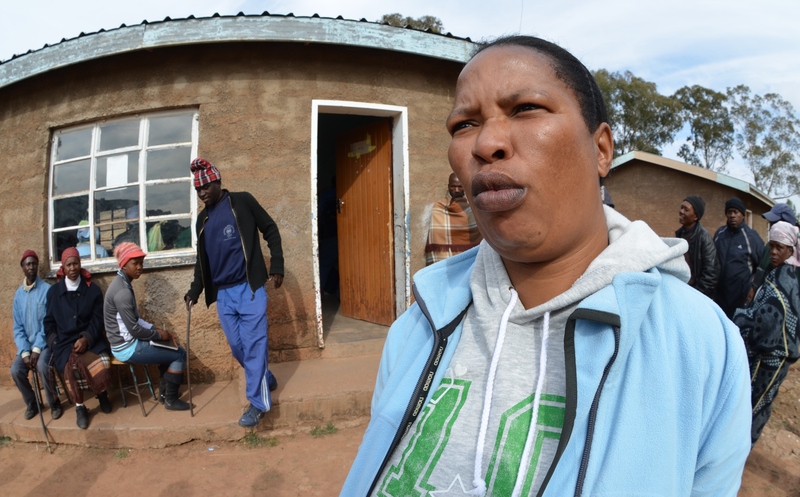 On election day, I headed to Thaba Bosiu, a name that resonates across the nation. In the Sesotho language, it means “mountain of the night,” as the village sits at the foot of the eponymous red-rock plateau. It was the stronghold of the venerated 19th-century king, Moshoeshoe, who’s been called southern Africa’s “first democrat” for his open-air, parliamentary-style gatherings of local chieftains. their ballot in cardboard booths, while eagle-eyed representatives of each party sat and watched. A lollipop-sucking policewoman even enforced the rule against politicking outside, advising me not to be too provocative with my questions. “Careful not to influence the other voters,” she said, without removing her lollipop. Since the voting there has been a relatively smooth transition toward forming a new coalition government that may include from three to five opposition parties. A former foreign minister, Tom Thabane is expected to be sworn in as the new prime minister on Friday. Although there are some clouds on the horizon — such as questions over how long the various opposition parties will coexist in one government — if Lesotho can carry out a peaceful, democratic change of government it will not only be a historic achievement for this nation but for all of southern Africa. Michael J. Jordan is a Maseru-based journalist, a Christian Science Monitor correspondent since 1995 and a Visiting Scholar in the Hong Kong Baptist University International Journalism Studies program.